The D:Lab assisted the Real Estate Development class in a prototyping session where students created models in preparation for the final exhibition of their research findings and proposals to their clients. 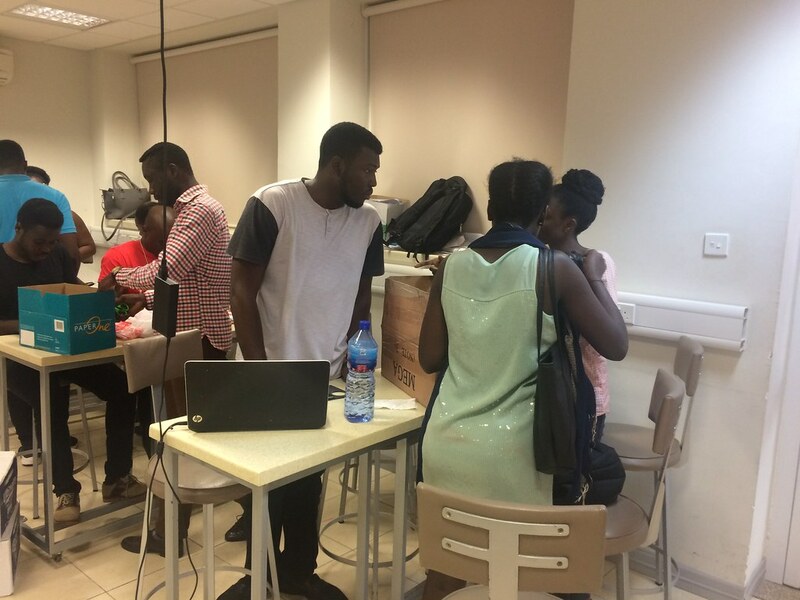 This session was facilitated by the coordinators of the Lab, Theodore Philip Asare and Carl Agbenyega. During the semester, Yaw Dankwa Osseo-Asare (Chief Maker in the D:lab) and Victor Randolph, both architects and lecturers of the Foundations of Design and Entrepreneurship course, were also invited to one of their classes to help these students understand the various perspectives to consider when analysing a Real Estate Development Project. Posted in EventsTagged Design Making, Prototyping, Real Estate DevelopmentBookmark the permalink.